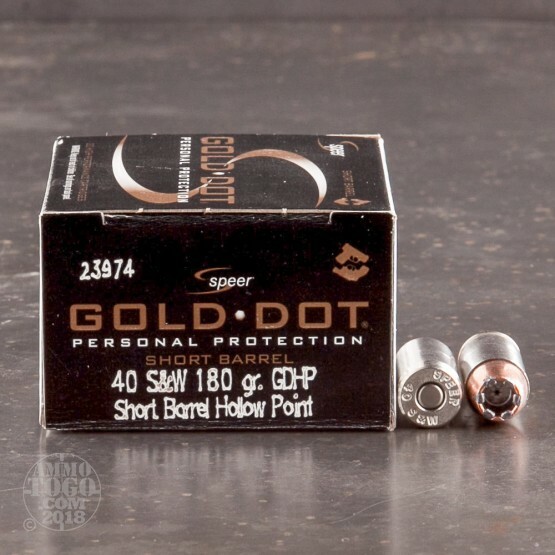 Headquartered in Lewiston, Idaho, Speer Ammunition has earned respect among law enforcement personnel for its consistent quality and high-level performance. 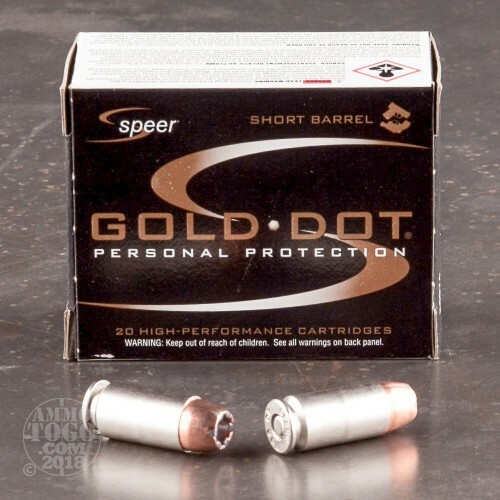 Speer’s Gold Dot line is used in more police duty weapons than any other brand. Also ideal for civilian personal protection, Speer Gold Dot delivers excellent terminal performance, accuracy, and reliability. 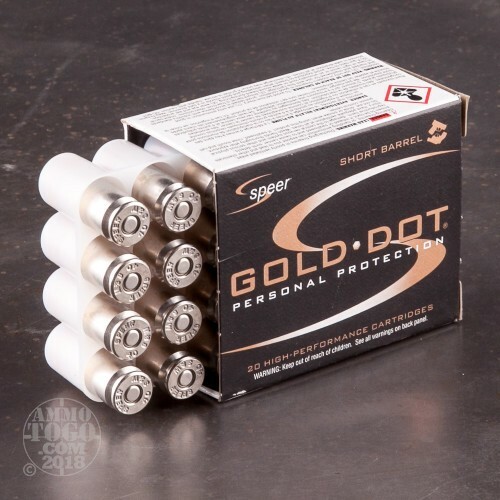 This package contains 20 rounds of Speer Gold Dot Short Barrel .40 Smith & Wesson ammunition. 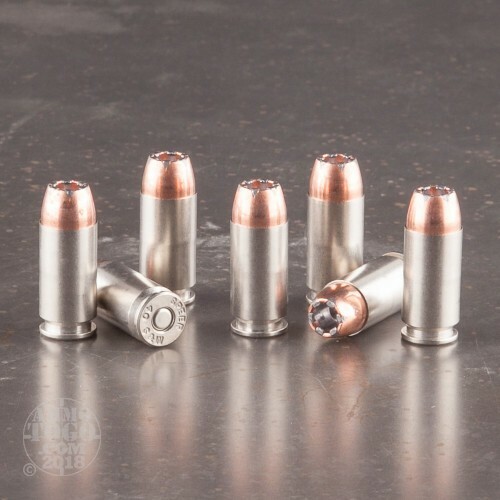 Designed specifically for use in modern compact, short barrel handguns, each round is loaded with a 180 grain jacketed hollow point projectile. Offering optimum expansion at short ranges, these loads are perfect for use in EDC or concealed carry weapons. This ammunition is factory fresh, non-corrosive, and boxer primed. Loaded in nickel-plated brass cases, these cartridges offer smooth feeding, function, and extraction, as well as easy visibility in low light situations. Each round produces a consistent muzzle velocity of 950 feet per second with 361 foot pounds of threat-stopping muzzle energy.